Eats365 is a cloud-based POS platform specifically designed for quick-service and full-service bars and restaurants of any size. Various modules allow businesses to tailor the solution to fits specific operational needs, and provide users with actionable intelligence around transactional data, inventory data, and foot traffic data. 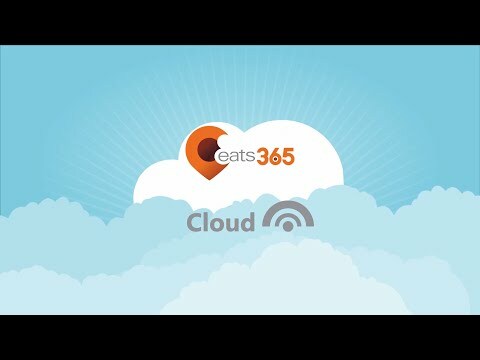 Eats365’s entire platform is designed to run on standard tablets, smartphones, TV streamers, and printers. Users can create custom menus and categories based on day-of-week and time-of-day, as well as item options using single and multi-selectable modifiers, combos by linking single items and/or entire categories, and adjusting the selectable quantities and discounts offered. Build and customize the table map to replicate the restaurant and track inventory availability. Apply open discounts or setup predefined discounts with varying types, amounts and conditions. With business intelligence reporting, users can gain crucial information on how the business is performing, and make intelligent decisions or adjustments, anytime, anywhere. There are currently no reviews of Eats365. Eats365 is a fully-integrated platform that is customizable to suit every restaurants' needs. From Queuing to the Pick-up order display all modules are fully integrated with the Eats365 POS. Customers can queue them selves or order at the restaurant with Eats365 self-serve kiosks and e-menus or use the Eats365 User App place a take-out or dine-in order, as well as reserve seating. Servers can take table side orders minimizing errors and time. Always current, always on, real-time data and back-up. Orders are tracked from the moment they are placed, helping BOH manage orders and improve efficiency. Below are some frequently asked questions for Eats365. Q. What type of pricing plans does Eats365 offer? Q. Who are the typical users of Eats365? Q. What languages does Eats365 support? Q. Does Eats365 support mobile devices? Q. Does Eats365 offer an API? Yes, Eats365 has an API available for use. Q. What other apps does Eats365 integrate with? Q. What level of support does Eats365 offer?